Unit comes with a NEMA 5-20P Plug for a 20A Receptacle (see pg. 3 in the manual). 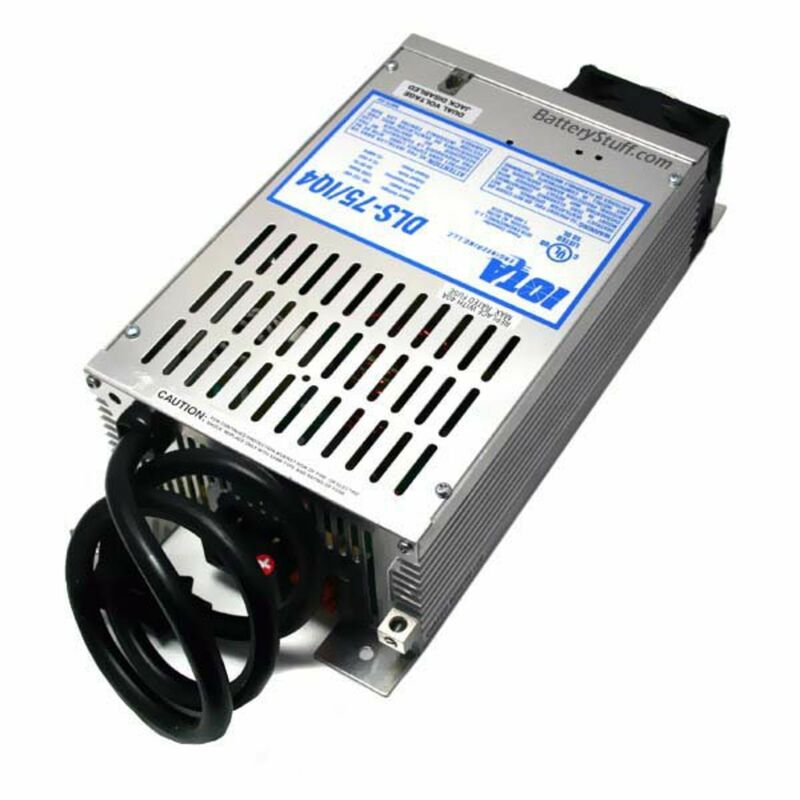 Using state-of-the-art switch-mode technology, the DLS Power Supply series is engineered with the user and variable environmental conditions in mind. Extra care has been given to insure many years of service-free operation, even when subjected to extremely harsh conditions. Batteries are charged quickly and efficiently without overcharging. Pumps, motors, and fans operate perfectly for prolonged life. Iota DLS can be used without a battery as a straight Power Supply. Exceptional good unit for RV, remote camping sites, recharge of large DC powered audio systems and where generator power is used to power the charger. 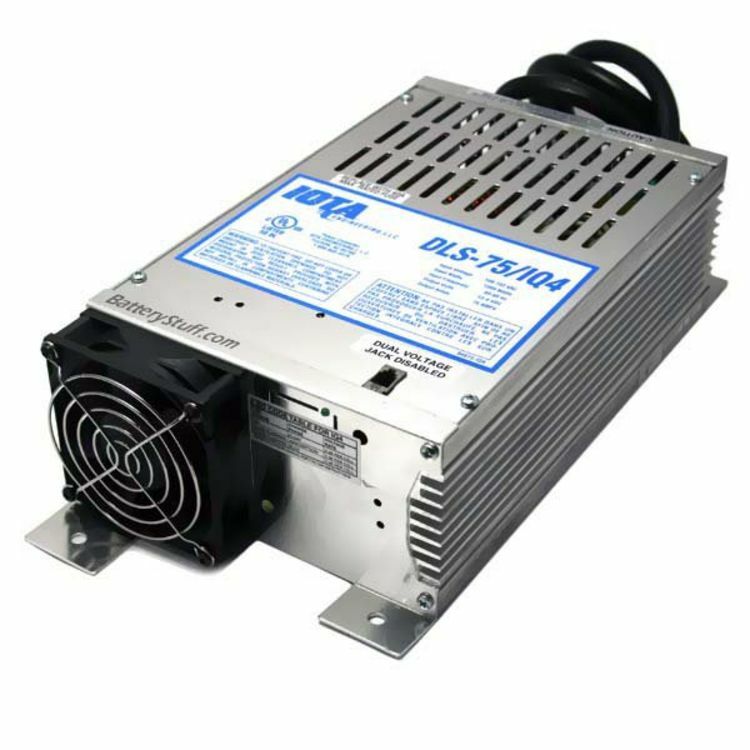 Iota Engineering DLS Converter/Charger quickly and efficiently charges batteries from the full rated output of the DLS. The DLS then maintains the batteries, only putting into the battery what is required by load or self-discharge, cutting back to milliamps as the battery requires. 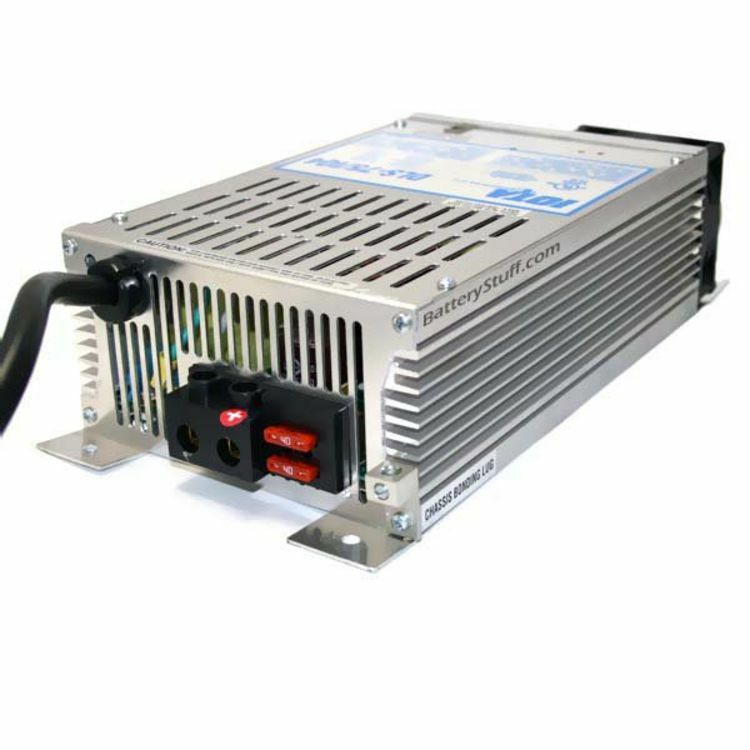 Exceptional clean DC power, input ranges 96–140 VAC 47–63 Hz. All models ship with IQ Smart 3 Stage Charge Controller. Do you own the DLS-75/IQ4? Please, tell us what you think about it. It helps us provide you with better products. Please note that it may take up to 72 hours for your review to appear.